Operating in a market segment that provides plentiful development and growth opportunities, Raiffeisen Asset Management offers innovative services and products in its effort to attract a wider range of customers. 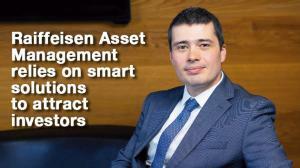 In an interview with Business Arena, Razvan Szilagyi, CEO and President, Raiffeisen Asset Management, speaks about his company strategy and the challenges along the way. What new products are you offering to customers who want to put their money in investment funds? What other new products have you brought on the market? for short- and medium-term targets, and SmartInvestTime, for objectives that require a longer time to achieve. Each of those two solutions comprises three investment funds administrated by Raiffeisen Asset Management: RonPlus, Confort, and Benefit. Their objective is to offer higher returns than investments in classic savings instruments, with limited risks and no SmartInvest entry and exit fee. Moreover, even though both SmartInvest solutions are designed as longer-term savings solutions, investors have free access to their savings at all times. Our challenge was to find a solution that could meet our customers’ returns expectations, while, at the same time, it had to be adapted to a risk appetite that is essentially on the lower side, catering to most individuals in Romania that are interested in saving. Considering the lack of a general predisposition towards saving among regular people, who are the main target market for SmartInvest, we decided to come to their assistance with a solution that is easy to understand and affordable. To access the SmartInvest solution, customers need a minimum initial investment of 600 lei, followed by subsequent monthly savings of at least 200 lei. There are no entry and exit fees for any of the three funds, if they are accessed through the SmartInvest solution. we have made available the Raiffeisen Acumulare pension fund through Raiffeisen Bank’s branch network. We had the same objective: to offer accessible solutions to our customers. The fund was launched in 2008 and it has had a very good investment performance. What would your advice be to those people who have never invested in investment funds? First of all, my advice to people is to keep in mind that they are solely responsible for their own financial health. A good deal of their objectives in life can be achieved with money: their children’s education, a carefree old age or something on the “bucket list” – those things we want to do in life. It’s not complicated to invest, but it requires attention. What we invest in only becomes important when we know what we want to do. for my age, for my fears, for my ambitions. I can find simple funds that are easy to understand (investments in deposits and bonds) as well as complex funds (with different investment strategies). Not all of us have investment experience and we don’t have the time to be “in the market”. Investing in an investment fund means that we leave our money in the hands of investment professionals. Of course, that involves a cost, but, most of the time, the alternative is considerably more expensive. Last but not least, I would invest in funds because they offer a significant degree of protection. The market is regulated and supervised both at local and European level. What would you invest in now, if you had some extra cash? I strongly believe in what we do here at Raiffeisen Asset Management (RAM). So, can’t see how this could be otherwise: all my money has been invested in funds administrated by RAM. I have a savings plan (SmartInvest) for my children’s education, I contribute to the optional pension fund and I have a “bucket list” portfolio. Coming back to your question, if there is no immediate need for cash, I will supplement my current contributions, most likely for the children. Please explain what is going on in the pension funds segment? There have been discussions in the market about the Pillar 2 pension fund, but it is not clear how many people actually understand what this is about? The state pension (Pillar 1) is based on our contributions. In exchange for those contributions, we receive a promise that the future generations will pay our pension. Our pension is going to depend on the next generation’s will and means. I am not going to express any opinions about our children’s will to pay our pensions from their salaries, As for their means, it’s obvious that, if the number of employees is small compared to the number of pensioners, there will be problems. Demography isn’t offering very good news. I think the most important aspect that we need to understand is that, in most cases, we could only expect this pension to cover basic needs (such as food and drugs), in an optimistic scenario. The compulsory private pension (Pillar 2) is also based on social contributions. Basically, part of the taxes paid are invested: in bonds, in stocks or in other instruments. I am going to receive back the invested money from my contributions and the return on my investments. As opposed to the previous system, the money I receive is not paid by the next generation and it also comes with returns. I believe in the importance of compulsory private pension funds and the way in which they complement the state pension. We must point out, however, that, in most cases, Pillars 1 and 2 are not likely to allow us to reach the expected living standards. Roughly, the two will only cover around 60 percent of our financial needs. The optional private pension represents the third pillar of the pensions system. Similar to Pillar 2, we have a personal account and we know what our money is invested in. In this case, we have control over how much we invest. That depends on us or on our employers, if they provide such benefits. The invested money comes from our salaries and it is object to favorable fiscal conditions. The optional pension together with the state and compulsory pensions can provide us with the carefree life that we aspire to. What is the general population’s level of financial education with regard to investment funds? How could it be improved? Unfortunately, it’s not good. Surveys have shown quite clearly that we are at the bottom of the European rankings in terms of financial education. 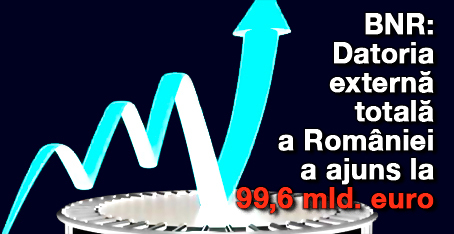 Currently, there are fewer than 310,000 investors in mutual funds in Romania, and around 460,000 investors in optional pension programs. That’s very little. There are quite a few things that could be done. Perhaps they haven’t achieved visibility yet, but many things are already being done in the industry. It is important for these efforts to be coordinated, so that we can accomplish truly visible results. But, most importantly, people should understand that it is mainly their responsibility to make decisions for their own future. As with anything important, it takes patience and attention. Later, when they have understood the importance of such investments and their interest has been stirred, it’s going to be our duty to explain things and assist them. 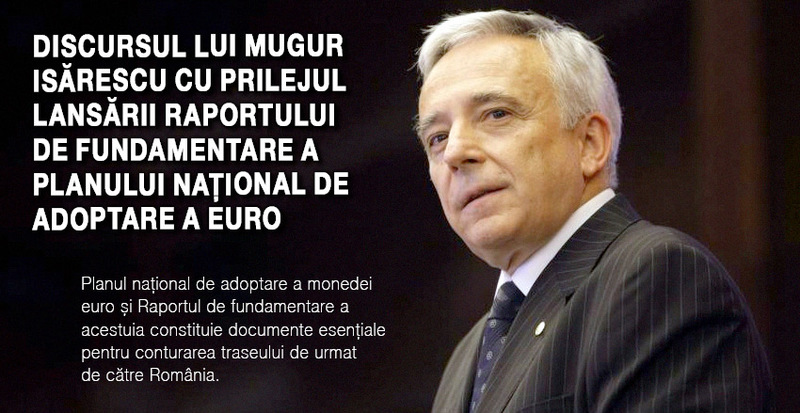 the first bank in Romania to offer its customers structured deposits. 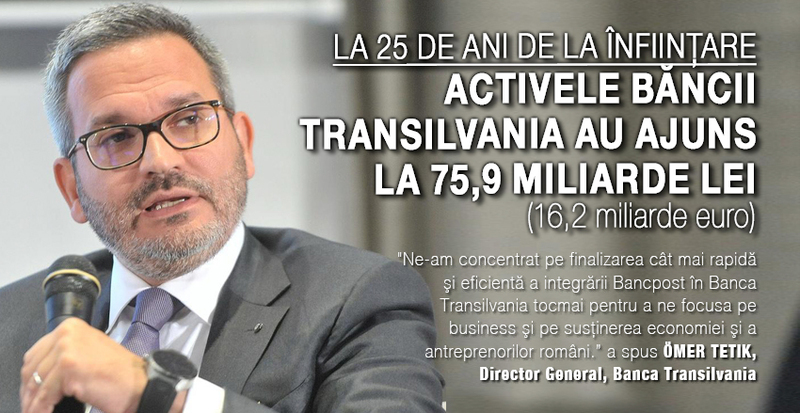 From 2015, he has been CEO of Raiffeisen Asset Management (RAM), the second largest mutual fund administrator in Romania. RAM also has an optional pension fund (Pillar 3). Together with his 30-strong team, he manages assets with a combined value of around one and a half billion euros. Over the years, they have achieved a long list of industry firsts: funds investing on foreign markets, capital protection or class distribution funds, similar to dividends. His mission is to help customers fulfil their dreams, mainly those that involve money: a carefree old age, children’s education or a trip around the world. How can he help? “With simple products that are in line with customers’ needs and individual requirements. With clear and easy to understand explanations. With a little nudge, because we are all human and it’s normal for us to make mistakes or forget.” Razvan strongly believes in the power of the team. He sees good employees as the company’s most important resource. He generally believes in people and in what he does. He manages the business as if it were his own, and he wants to instill the same attitude into his team. On a personal note, he is married with two children – a warm family that provides him balance.